This Shear Cell instrument was designed and fabricated for the Department of Chemical engineering at the University of California Irvine. It consist of a stepper motor driving a rotating conical faced disk on the end of a spindle. This conical faced disk just touches a glass coverslip, where the fluid test sample is imaged using a Zeiss Microscope. 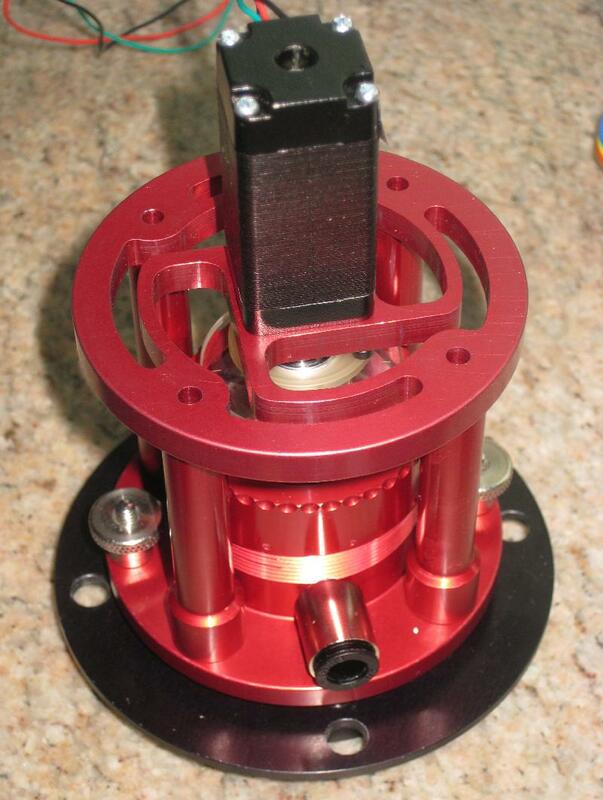 Here is a closeup of the Housing and Spindle assembly. 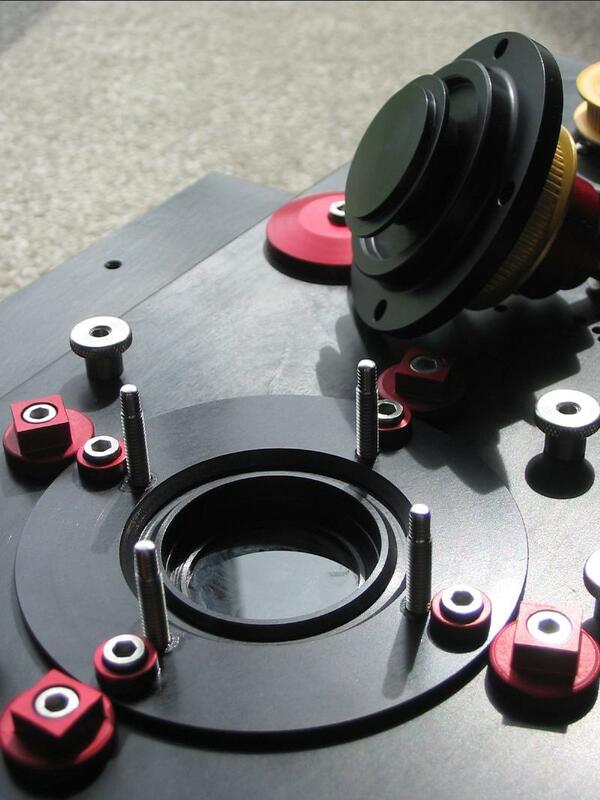 The square headed cams are for fine X Y adjustment of the position over the optical axis. 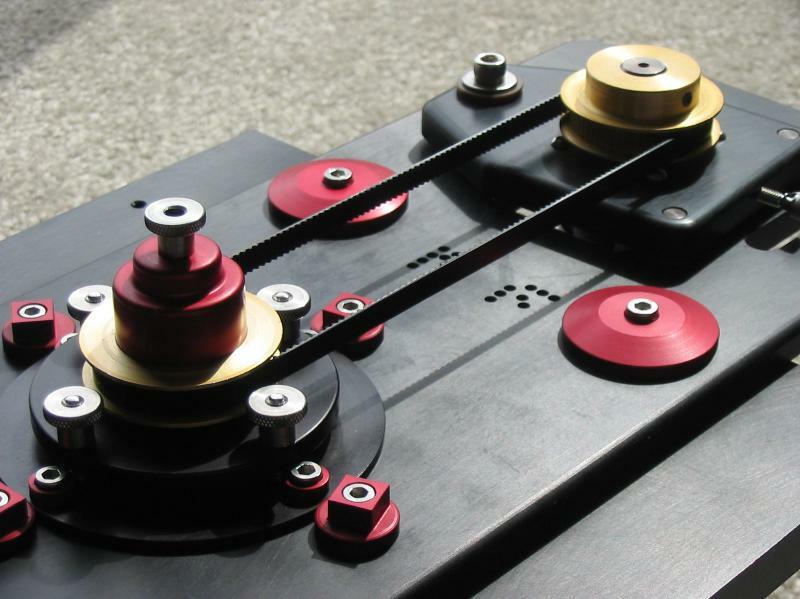 The upper spindle assembly can be easily removed and replaced in seconds to allow quick sample fluid loading. This image also shows the Cone and Cover Slip window. Also note the annular V way and ring for accurate re-positioning of the Spindle Assembly. Also note the reduced diameter of the screw threads for quick placement and alignment of the thumb screws for attaching the upper assembly. After initial testing and science, an increase in the accuracy and stability of the rotary motion was required. The assembly was returned and we fitted an air bearing driven by a fluid coupling. In this image you will see a spiral cutout of the motor attach plate. This was for several reasons. One was to provide an aperature for visual inspection and filling of the fluid coupling, and in case fine positioning was required, there was room to install centering screws if necessary, (which were not required).